While diet soda is a good transitional beverage from regular soda, the artificial sweeteners may pose a threat over time. According to a new study by the American Heart Association and American Stroke Association, drinking two or more of any kind of artificially sweetened drinks a day is linked to an increased risk of clot-based strokes, heart attacks and early death in women over 50. While the studies cannot show causation, this could be a yellow flag to pay attention to these findings. It may be important to limit intake until there are more facts on how artificial sweeteners may impact people’s risk of stroke. They are doing something to affect our gut health and metabolism. Potential side effects of artificial sweeteners could be an increase in appetite, increase in sugar cravings and altering the bacteria in the gut. 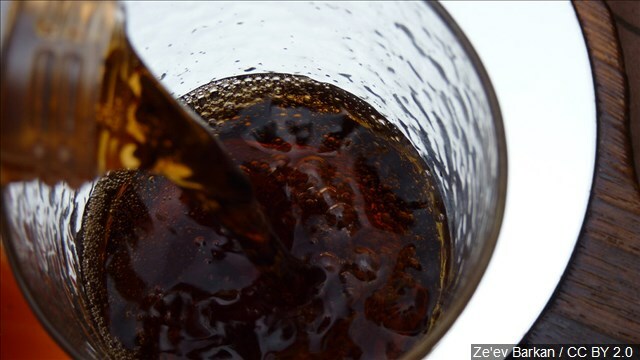 With that being said, the American Heart Association issued an advisory recently saying that short term use of low-calorie and artificially sweetened drinks to replace sugary ones “may be an effective strategy” to promote weight loss in adults. 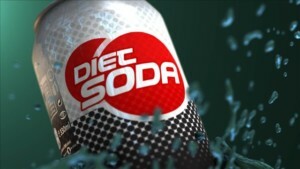 Diet soda may be an easy transition from a regular soda addiction, but don’t lean on it long term. Drink for occasional use only. While science continues to explore the connection, Tamara says you should turn more to water and other non-calorie beverages, like herbal tea, to count toward fluid replenishment. As it is important to stay hydrated, drinking half body weight in ounces a day. And if that sounds daunting, trying adding lemon slices or mint leaves for flavor. “There’s a lot of functions that are important that we do replenish your body with fluid. Our body is 50 to 65% water and we lose water through out the day. And we need to replenish water; it’s an essential nutrient just like vitamins and minerals are essential to our health — water is essential to our health,” says Henzlik. Tamara also adds that you can enjoy your favorite beverage in moderation.